One thing Samsung doesn’t want to give up is the budget range offering. Although they are doing good with top-end flagship phones, budget range offering looks shaky because of local OEM and huge competition from Android One phones worldwide. Samsung Galaxy A3, A5 and A7 were budget smartphone launches last year and for this year we have its successor coming up. 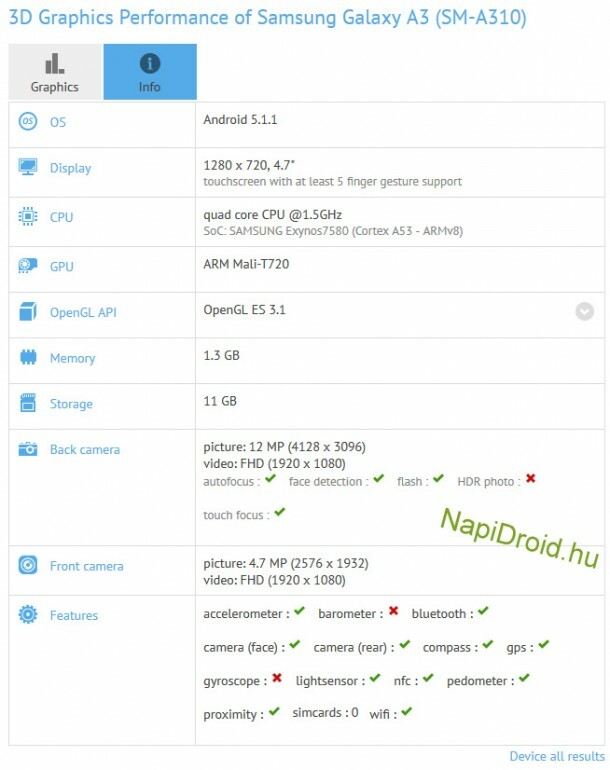 The Galaxy A3 and Galaxy A7 successor are leaked out. We just spotted Galaxy A7 SM-A710x and Galaxy A3 SM-A310 passing through GFXBench database. The new Galaxy A3 II will be launching soon but no official word by Samsung yet.